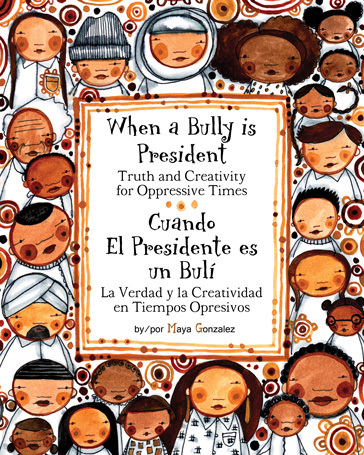 Today is the official release of my new children’s book, When a Bully is President: Truth and Creativity for Oppressive Times. True power. Resilience. Creative force. I didn’t pause. I sat down and wrote the truth book as soon as Matthew suggested I create something in response to the 2016 election, because I know. I know what it’s like to be bullied in big and small ways. I know what it’s like to feel like you don’t have any power in a situation. I knew this is how kids were feeling. Not because I was hearing it on my social media, but because I know. I immediately wrote the book because in my imagination I could see the faces of all the kids I’ve worked with over the last 20 years. I reached toward them like I always do, because I know. I recognize myself in them which is why I continue to share what I use to strengthen myself and firm my own resilience in a larger framework that does not want or welcome me. This book is not your usual children’s book. It’s more of a self-care book for kids using truth and creativity as tools to deal with bullying. You might say this is the heart of social justice. The inner work, but for kids. As social justice activists know, burn out is real. Actively engaging with the world at large about our own oppression takes a toll. Coming face to face with the words they call us, the things they think about us, the eternally clever ways they sidestep equity and perpetuate power over us instead of true power rising can be exhausting and sometimes just heartbreaking. Microaggressions or massive legislation. How do we mediate this for ourselves let alone for our kids? How do we support their education and activism without burdening them with their own oppression, but instead enlivening them to become more true to their selves? 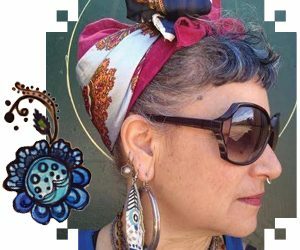 Rising from a Holistic frame instead of a Western one, When a Bully is President does not focus on fighting and resisting, although ACTION and ACTIVISM are supported. It’s about what makes us strong from the inside out. Truth and creativity. Tools like these call in our full self and are often dismissed or diminutized precisely because of their power and ability to make us more resilient and stronger for the long haul. 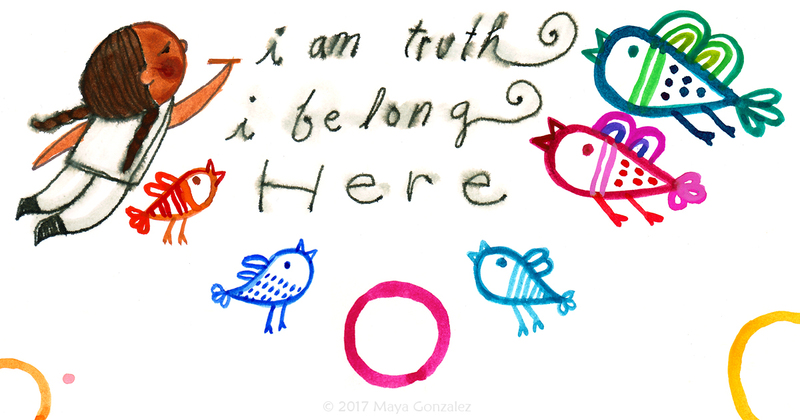 When a Bully is President is about reclaiming that inner journey for our kids as they participate in today’s activism with the hope that as they develop discernment and self-love, the work toward social justice will continue and evolve tomorrow. True power rises. From the lowest up and from the inside OUT! The book is available NOW through most online retailers and can be ordered by bookstores through Ingram. We’re also taking book orders at my press which I’ll sign and ship out next week along with a sticker. In the makes is the reader’s guide and how to stage a community project. I’ll share those later this week along with a short reading list about few of the pieces at the core of my work if anyone is interested in their own study. Want to explore creating your own children’s book like When a Bully is President? DO IT! We are in deep need! Beautiful, thank you for this offering. Wow, Maya! This is so powerful. Thank you for using your gift to empower children and those in need. I love how you gave concrete ways of how children can cope, how WE can cope and persevere. Simply beautiful and so needed!